Are you still searching far and wide for Self Defense School Keller TX classes? Maybe you’re worried about your kids’ safety while at school, and you want them to learn how to protect themselves. Perhaps you’re growing more concerned with your own security and you’d like self-defense classes. If you’re searching for this type of instruction, the pros here at Tiger-Rock Martial Arts can help you. Read more about our services and classes; we’re eager to help you! Tiger-Rock is a brand that has been around for an incredibly long time, and we have no plans on slowing down. You can count on our dojo to withstand the test of time. We’ve been around since 1983, and we are far from a fad that comes and goes. If you’re someone who’s interested in making sure you have he self-defense abilities that you’ll need to survive, let us know. With our certified staff members behind you, you’ll be in great shape. At Tiger-Rock, we teach our students to be aware of their surroundings. In today’s society, you unfortunately never know what might happen. Because of this, it’s important to set yourself up with the skills and abilities you’ll need to defend yourself. An assailant is not going to have your best interest in mind. In addition to this, you may not always be able to call out for assistance and help. When these types of scenarios present themselves, it can feel like it’s going to be impossible to escape. After all, what’s a Texan to do in the face of danger? While this is something that’s universally considered scary, it can, unfortunately, happen to anyone. As responsible Americans, we all need to know how to defend ourselves. Assistance isn’t always going to be there, and it’s important to be able to count on yourself. When it matters most, you’re not going to want to let yourself down. If you’re ready to start honing your physical and mental capabilities, we’re here to help you. Our instructors will place you through a rigorous course that involves a lot of high-intensity drills. Strikes and kicks are very important, and they’re some of the backbones of our class programs. We want our students to experience a full-body workout when they’re training and studying self-defense. The movements and routines we give you will develop your muscles and make you stronger, faster, and leaner. Are you incredibly worried about how you’re going to navigate these types of classes? Perhaps you don’t have a background that includes a high level of physical fitness. If this is your worry, you may have a lack of confidence that’s holding you back. When this happens, it’s very easy to feel like you’re not good enough. Are you beginning to have thoughts that make you feel as though you don’t have what it takes to reach your goals? Before you give up, make sure you reach out to Tiger-Rock for help. Our instructors are human, too. They understand that things can get tough, and nobody should have to go through it alone. If you’re ready to increase your fitness levels, we can help you do exactly that. Our team has a group of staff members who can work with you. You’ll have access to our regimens that include strikes, kicks, and other high-intensity drills. With these being incorporated into your lifestyle, you’ll see your physicality improve. Many of our students report improvements in their strength, speed, and stamina levels! Start experiencing these benefits by joining our dojo today and getting started on your journey towards transformation. The mental aspect is something else that cannot be denied or overstated. If you’re trying to master karate, Taekwondo, self-defense, or anything else in life, you’ll need consistency. You’ll need to be disciplined and unwavering in your approach to the situation. Above all else, you’ll need to believe in yourself and have a sense of confidence and self-esteem. If this is what’s lacking in your life, joining our dojo could be the best thing for you. Our instructors want to build you up to be the best possible warrior you can be. Contact us today for more details on how martial arts can help you sharpen your mind. 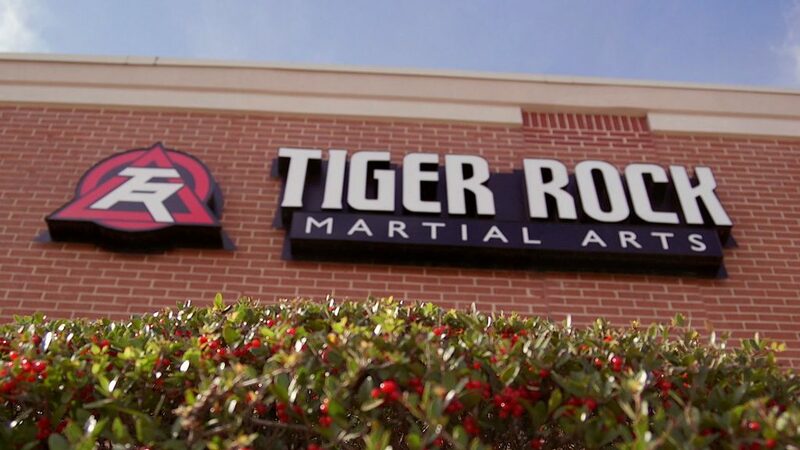 You may not be sure about what you want from karate dojo in Keller TX. If you’re trying to get away from your current gym, you may be trying to find a place that doesn’t do long-term contracts. At our dojo, you’ll be greeted with affordable prices with no hidden fees. Our team believes in giving our students the right resources, not the ones that siphon cash. If you’re looking for a valuable class that can help you get better at an affordable price, call us. We have an introductory course package that’s perfect for you and your family. Make sure you find the right Self Defense School Keller TX opportunities that fit your family’s needs. You’re not going to want to compromise on this, and it’s important to get the most out of your self-defense skills. If you’d like to hone these abilities and make sure they’re in the best possible condition, let us know. Our team of instructors here at Tiger-Rock want what’s best for all our students. If you’re thinking about signing up right here at our dojo, we can give you details on our lasses and more info on what we do. 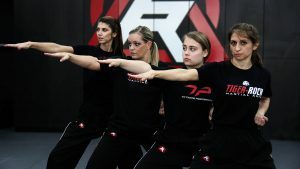 With TRMA behind you, you’ll be able to improve your martial arts skills in no time. Keller is one of the safest cities in America. In 2016, we received awards from multiple associations because of our safety levels. We believe in protecting our citizens, and we’re appreciative of the recognition. This small city is a part of the greater Tarrant County. This means that you’ll be able to enjoy small-city living as well as big-city convenience. You can set up your home in one of our safe neighborhoods. Afterward, drive right into the DFW metroplex and enjoy a night out on the town!